The heroin rehab treatment programme at Cassiobury Court helps people with a Heroin addiction to recover. Dealing with an addiction can be incredibly tough both physically and mentally, especially with a drug which is as highly addictive as Heroin – but our team of medical professionals can provide you with the help and support you need through the use of specialised treatment programmes that are designed to give you the best chance of a life without addiction. Are you or a loved one suffering from Heroin Addiction? The Heroin Rehab treatment programme at Cassiobury Court helps people with Heroin Addiction to recover. You’re not alone. Heroin Rehab – What does Heroin Actually Do? Heroin is a well known substance throughout the world. Heroin is from the opiate drug family and derived from the opium poppy which primarily grows in southern and central Asia. Users can inject, smoke or snort heroin. It is an illicit and controlled substance in most countries in the world, and also has the status as one of the most dangerous drugs in the world – and for a good reason. Originally, Heroin in its current form was developed as medication, but it did not take long before many people found out about the side-effects of heroin use, for recreational purposes. If you are a long term user yourself, you probably already know the effects of the drug very well. For those who read this due to concerns about a loved one, and do not know much about the drug and it’s appeals: – what pulls people to the drug is the so-called “rush”. After injecting heroin, you feel euphoric, and a sensation of peace. Heroin is extremely dangerous on the other hand. Overdosing on the drug could lead to death, and consistent use can lead to a rapidly deteriorating overall health. From serious skin and dental conditions to a heightened risk of HIV through sharing needles. It is important that you or your loved one quits as soon as possible – heroin does kill. Cassiobury Court has developed a unique heroin rehabilitation programme. The heroin detox and rehab programmes tackle both psychological and physiological aspects of heroin addiction. Our Heroin detox programme will have severe withdrawal symptoms. The symptoms can last for around 2 weeks after any heroin was last taken. Cassiobury Court is a residential rehab clinic, so clients are monitored 24-hours a day by medical staff. During the detox from heroin, you could be offered prescribed drugs which will help with the pain of the heroin withdrawal symptoms. When your withdrawal symptoms start to decline, counselling and therapy sessions will begin. These sessions will explore the reasoning behind the addictive behaviour and to help identify the triggers that cause or set off the addiction. We can also offer family-based therapy sessions where friends and family can attend the clinic to help with your recovery. Therapy sessions are conducted by qualified team members such as psychotherapists and psychologists. Therapy can be one on one with our resident therapist or alternatively within groups of other clients. Once therapy sessions are completed a bespoke relapse prevention plan is devised before you return home. Our clients are encouraged to contact Narcotics Anonymous once the detox and heroin rehab has finished. Cassiobury Court offers a FREE 12-month aftercare package following completion of the heroin rehab programme. 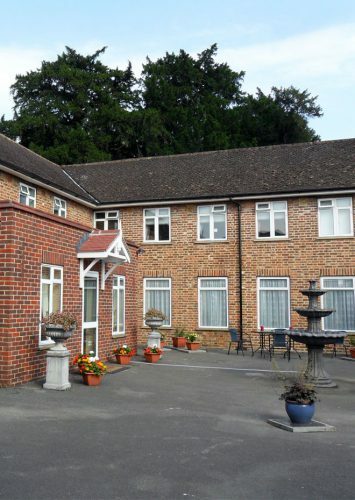 Cassiobury Court is a residential drug and alcohol treatment clinic offering private rehabilitation programmes with 24/7 medical support, we are regulated by the Care Quality Commission (CQC). Our treatment facility offers a home type feel with comfortable accommodation across two floors and private gardens for you to get some much needed peace. Over the years Cassiobury Court has treated in excess of 3000 clients which includes people suffering from heroin addiction, we take huge pride in delivering the best alcohol and drug treatment services. The processes we have put in please ensure that our clients feel as comfortable as possible, the heroin treatment programme we offer has been designed through years of experience and in-depth research which identifies the problems and triggers of the addiction in order to achieve the very best recovery. The most appealing aspect of choosing a private rehab clinic is that there are no waiting times as opposed to public healthcare. Our services can be accessed immediately without a prolonged wait which can be seriously damaging to your health if you are suffering from an addiction. Also, private rehab clinics such as ourselves offer tailored rehab programmes that suit different individual needs whereas public healthcare options are often nationwide programmes which have designed for everyone rather than catering for the individual. We believe this is why our heroin treatment options are so successful compared to other rehab centres. Are you a family member of a heroin addict? Helping someone receive treatment for heroin addiction doesn’t have to be as difficult as you think. If you have a family member that is addicted to heroin we offer an intervention service. Call today on 01923 804 139 to enquire. Call today to find out further information about the heroin addiction treatment we offer. Call now on 01923 804 139. Alternatively please complete the enquiry form and a member of the admissions team will be in contact. We know that substance abuse is a hard subject to talk about. If you are concerned that you, a friend or a family member may have a heroin dependency then we believe that these questions will be extremely useful for you. Rehabilitation is a treatment programme designed for people dealing with addictions to drugs or alcohol. Step 1 - The admission process, before you are put onto our rehab programme you will have to talk to our admissions team who will be able to come up with a recovery plan which they feel will suit you best. This part of the process is a good opportunity for you to ask any questions before fully committing to the programme. Step 2 - After the admission process, you will be then settled into the treatment clinic ready for step two of your recovery journey which is the detoxification part. The detox part of the rehab process is widely considered to be the most difficult part as when you are going through withdrawal of your substance you will most likely experience some uncomfortable symptoms, prescription treatment is available during this period. Step 3 - Once you have completed your initial detox, you will then move onto therapies and sessions which are designed to help heal your mind and body. During your sessions, you will hopefully start to understand your addiction and more specifically the "12 step" process which you can implement into your life to help live a full life free from addiction. After the programme is completed, that is just the first stage. The next stage upon your return home is to overcome the many distractions that caused your addiction in the first place. If you are struggling to do this on your own, you will have access to our aftercare team who are will be supporting you even after you have completed your treatment with us. I Am A Heroin Addict, Why Should I Consider Rehab? Rehabilitation is considered to be the best treatment available for heroin addiction. Cassiobury Court gives you a place to stay that is free from the temptations that surround you in your everyday life while making sure you are receiving the best support possible to aid your recovery. The detox process that comes with the programme can be very dangerous this is why having health professionals available to you 24 hours of the day like at Cassiobury Court can be life-saving in some instances. Once you get through the tough detox phase you will feel like you have accomplished something to be proud of, a clean slate for you to start building your new life free from the burden of heroin. The length of treatment varies on the severity of your addiction and how you respond to treatment. In some cases, the withdrawal symptoms that come with detox can be quite difficult to deal with and this could lengthen the time of recovery, but in other cases, this might not be the same and you might find that the detox phase isn't as difficult as some may find it. The length of time is fully dependent on how the individual copes with the programme designed for them. A typical day at Cassiobury Court consists of a variety of treatments which could include a therapy session, relapse prevention techniques or work on the "12 step" approach. While you are not receiving treatment you will have access to our wonderful property which includes a communal area, dining area and beautiful gardens. Cassiobury Park, which is located just a stone throw away from the clinic is the biggest public open space in Greater London. During your treatment, a member of our team will accompany you on a daily walk around the local area where you can get some fresh open air while enjoying the surrounding area. What Happens When I Finish My Treatment Plan? Once your time with us is complete, you will receive 12 months free aftercare as part as your addiction recovery. We also recommend our clients visiting support groups such as narcotics anonymous, as they will greatly improve your chances of a drug free future.